This 100-gram brick is small and compact. It is a blend of high-quality mao cha from old abor trees in the Jingmai tea harvesting area.This brick is made from leaf materials that comprise the #0081 recipe. The leaf in this brick is finer cut and the brick has been given more compression than their highly regarded beeng cha made from the same #0081 recipe. The taste is sweet and pleasant and the quality overall is balanced and very good. The fermentation is medium so there is plenty of sweetness in the taste. 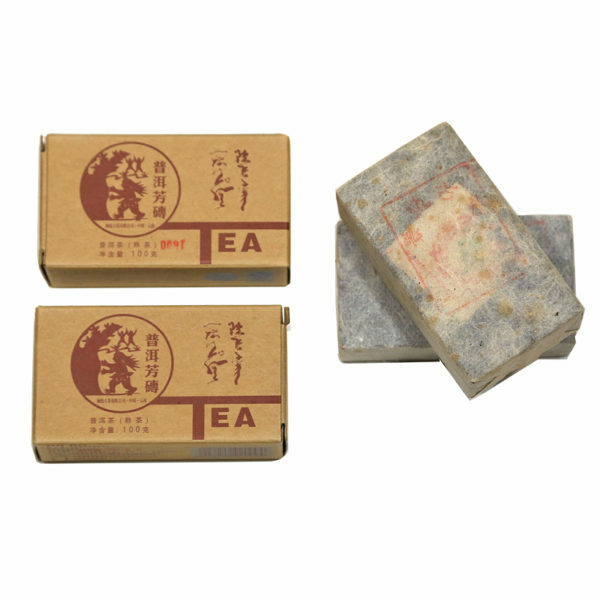 A good value for everyday tea drinking and a very attractive package for gift giving to a Pu-erh loving friend.